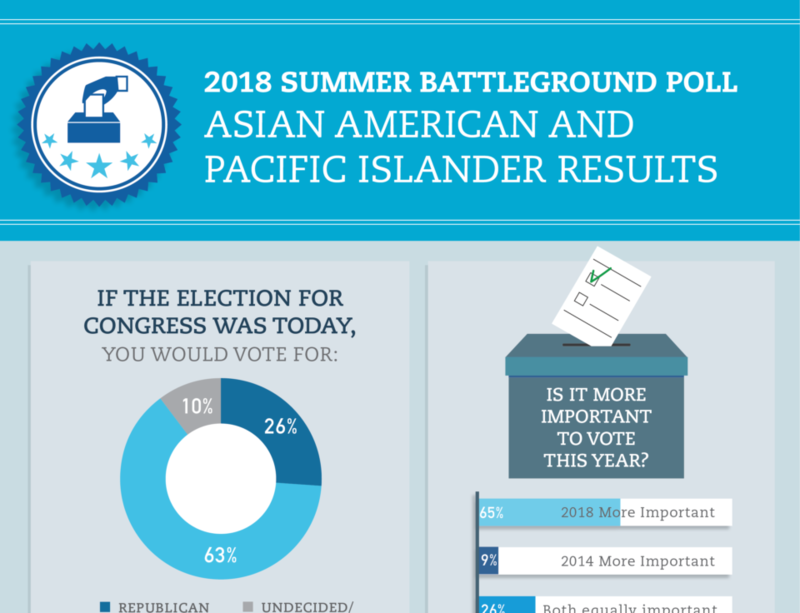 We co-sponsored a poll of multi-racial voters in 61 battleground states that are central to the future make-up of Congress for the first time this summer. Other co-sponsors are America’s Voice, Mi Familia Vota, Indivisible, NAACP, and The Immigration Hub. Conducted jointly by Asian American Decisions, Latino Decisions, and the African American Research Collaborative, the poll surveyed Asian American and Pacific Islander, Black, Latinx, Native American, and White voters in five languages (Chinese, English, Korean, Vietnamese, and Spanish). control, more than 70% express a viewpoint that aligns with the Democratic Party and candidates.